Lenny Kravtiz Jams With Street Choir – AWESOME!! Once a musician reaches super stardom it’s very rare that you see them interact with the public on a whim. That is unless you are the world’s coolest rocker Lenny Kravitz. 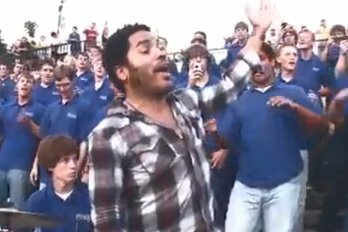 See what happens when Lenny was minding his own business having a drink in New Orleans and over hears “The Voice of Praise Choir” from the First Baptist Church tackling his song ‘Fly Away’. The outcome is absolutely AWESOME!! !